Understand how the human body accepts the power of laser light and leads to exceptional pain relief. 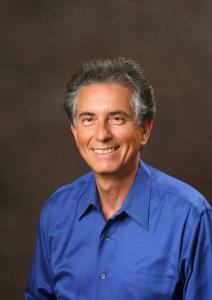 In 2004, Dr. Nelson Marquina successfully introduced superpulsed laser technology to the United States. 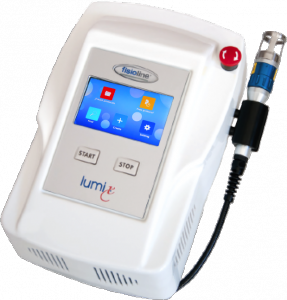 Fast forward to 2016 and laser technology development saw even further inroads to the evolving therapeutic treatment when Dr. Marquina and the Laser Biotech team introduced a new laser instrument capable of providing tremendous pain relief by synchronizing superpulsed and continuous wavelength (CW) lasers. A laser instrument emits light energy in a very narrow and focused beam. This laser light produces a biophotonic reaction when it is absorbed into tissues. The light reaction stimulates a regenerative effect at the cellular level. Research since the 1990’s shows laser therapy effects occur quickly and will continue to perpetuate change in both the medium and long term. Typically, fast acting pain relief occurs within minutes of application as the result of neural modulation to the peripheral and central nervous systems and physiological changes within the treated tissues. Additionally, laser light encourages the release of neuromuscular contractions. The release of these contractions leads to a reduction of muscle spasms. This reduction of activated nociceptors and normalized synaptic connections is good news for persistent pain disorders because it can lead to long-term down-regulation of the affected neurons. Furthermore, as the benefits of accurately applied laser therapy compound, there is a decrease of local edema and a reduction of inflammation. These benefits may occur within hours, or days, and is well established in animal research as well as human clinical trials. Practitioners in physical medicine, like chiropractors, achieve long lasting results for stubborn chronic injuries, such as low back pain, frozen shoulder and knee osteoarthritis. Podiatrists report excellent results in plantar fasciitis and difficult neuropathies. The use of laser in dental applications achieves successful outcomes in conditions such as periodontitis, trigeminal neuralgia and dentin hypersensitivity. General practitioners benefit in the treatment of wounds because laser light has antibacterial properties, thus reducing the risk of bacterial infections. Additionally, the laser is capable of promoting faster wound healing due to the ability of laser to stimulate tissue regeneration. When properly applied, lasers increase the cellular energetic level as the light penetrates tissue. As a result, many patients report experiencing decreased pain during or shortly after a laser treatment. Providers also find that the time it takes to treat a patient is reduced and the effects of laser therapy continue over the long term, with additional results showing within a week or two. When laser therapy is used, through appropriate diagnosis and treatment strategies, the effects can last for months-even years- as a result of the improved tissue regeneration. Muscle, ligament, skin, nerve, viscera, bone and cartilaginous tissues all respond well to laser therapy. With such promising research and published results many medical professionals have begun incorporating laser therapy into their practices. 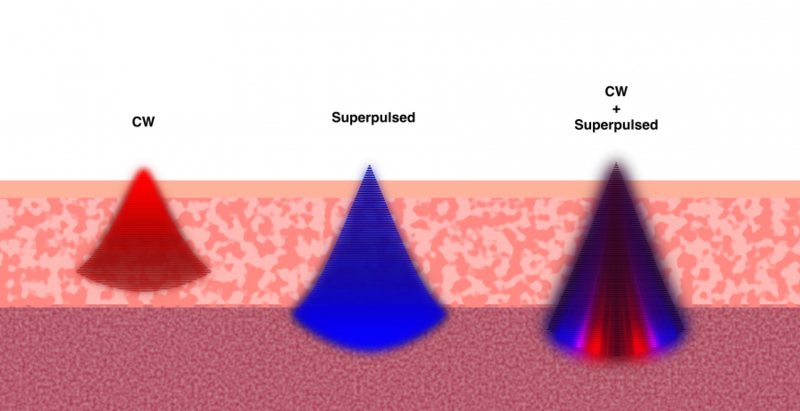 To effect appropriate tissue penetration, patients and their providers often see profound results in even the most difficult of clinical cases when using the combination of high average and pulsed powers with superpulsed and CW wavelengths. If healthcare providers and patients end up with little to no measurable success to show for laser therapy, the problem is often due to the practitioner’s lack of knowledge, improper laser techniques or the limitations of a laser device to reach the affected tissue. In order to facilitate a deeper understanding for the healthcare and medical community, Dr. Nelson Marquina provides practitioners and their laser treatment staff with on-line webinars and hands-on seminars. One popular seminar, the “4 Stages of Tissue Healing”, focuses specifically on understanding how laser treatment is affected by varying tissue depths, average powers and adequate treatment times. This upcoming seminar provides attendees with practical knowledge of the physiological effects of laser treatment and the clinical capabilities of laser for tissue repair and pain relief. The seminar will also give insight into the principles of laser therapy and treatment procedures that help practitioners optimize their clinical success. Dr. Marquina is widely known for his effective teaching style and enjoyable down-to-earth, hands-on approach to laser therapy. As a published author, respected thought leader and public speaker, his engaging lecture together with the hands-on practice will ensure that seminar participants learn how to best utilize therapeutic lasers. Upon completion of the seminar laser practitioners will be able to accurately address different stages of tissue healing, maximize pain relief, resolve difficult clinical presentations, and treat acute and chronic issues within a variety of body conditions.